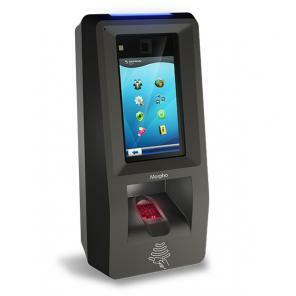 Safran announces the launch of MorphoAccess® SIGMA Extreme rugged fingerprint readers, its new rugged access control and time fingerprint terminal. This device is the newest addition to the award winning SIGMA family of fingerprint readers, which replaces the MorphoAccess and Bioscrypt 4G legacy ranges. Based on the same platform as the entire SIGMA product line, the outdoor MA SIGMA Extreme is specifically designed to operate in harsh conditions, resisting rain, snow, dust and salt mist. The ruggedised biometric reader is designed for secure access control in challenging environments, such as mines, seaports, airports and industrial sites. Eyenetwatch.com have over 15 years' experience in supplying biometric access control and time and attendance solutions to its customers worldwide in a variety of challenging environments. With the entire SIGMA product family, customers have a complete and compatible range of biometric terminals for flexible and secure solutions using the world's most accurate fingerprint technology. Click here to find out more about the MorphoAccess® SIGMA Extreme rugged fingerprint readers.